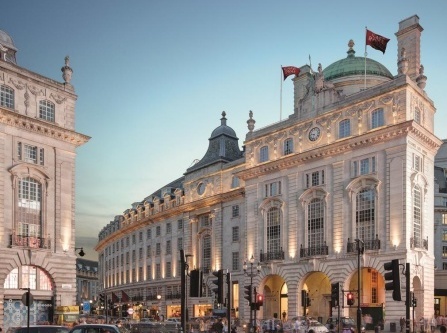 Hotel Café Royal is located on Regent Street, in the heart of the vibrant city of London. For more than 150 years now, the hotel has been offering luxurious and elegant accommodation to all guests, while also being a favourite spot of many famous personalities. 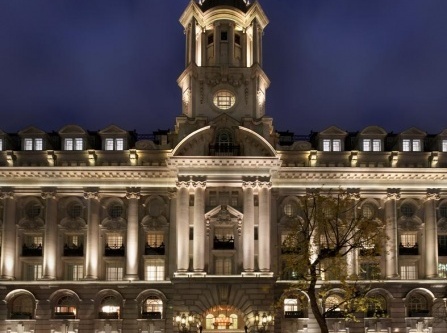 In its reincarnation this legendary London landmark now boasts 160 modern guestrooms, 49 suites and six signature suites. Café Royal luxury hotel has 160 contemporary bedrooms and luxurious suites, stylish restaurants, cafés and bars. Akasha features a state-of-the-art-gym, Watsu pool, large lap pool, sauna and Hammam/steam room, offering a variety of signature treatments that marry ancient Eastern traditions with innovative Western practices. Discreetly situated in the heart of the world’s most famous crescent, this luxury hotel and spa provides its visitors the opportunity to experience the elegance and the grace of Georgian grandeur as well as a level of service befitting the regal name. 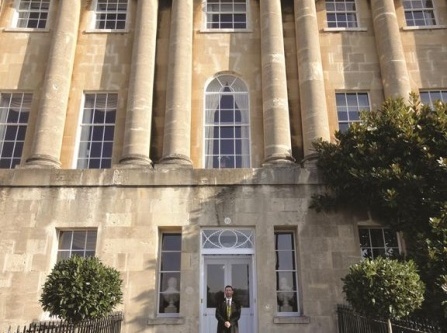 From rooms with stunning views of the Royal Crescent lawn and the hotel's private gardens to period features and private balconies, this boutique hotel is the epitome of five-star luxury. This 18th century hotel is a combination of picturesque landscape, original antique architecture, traditional English decor, luxurious facilities and superb service. 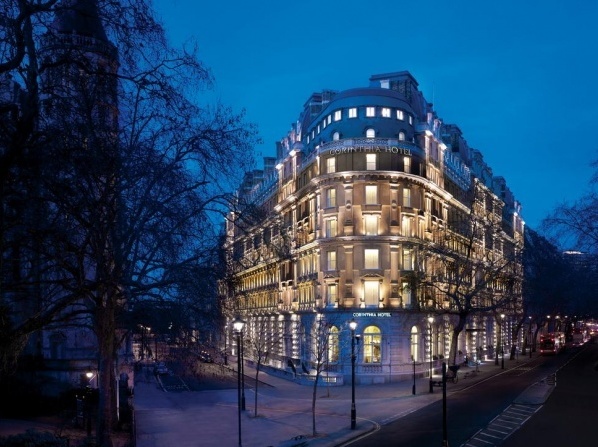 Experience the absolute luxury at The Langham London, a 5-star hotel which offers exquisite accommodation and excellent service. World-class facilities to relax your body and spirit. Enjoy a workout at the hotel's Chuan Health Club or indulge in the pampering treatments of its luxury wellness sanctuary, Chuan Spa. The Langham London offers family rooms as well as various facilities and amenities to make both children's and parents' stay unparalleled. 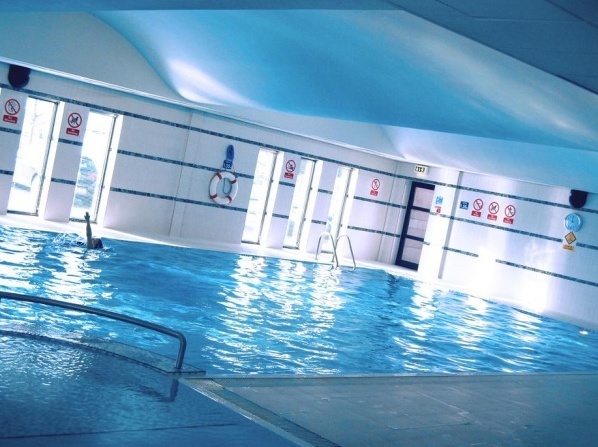 One of the top spa hotels in London, it offers world-class amenities to keep both body and soul in good health. A grand Victorian building, dating from 1885, offers new life with elegant rooms, stylish suites and imaginative penthouses. The building dates from 1885 with its magnificent Victorian Style. The hotel is a former governmental building. 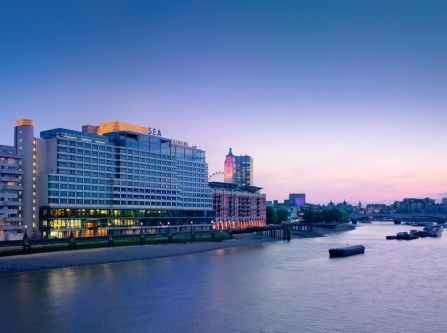 The stunning Sofitel London St James is situated in the very heart of London, combining traditional British design with a modern style that is unmistakably French. This luxury hotel in central London features 183 rooms including 18 suites, offering its guests a splendid union of convenience and quiet elegance. With the hotel's Magnifique Romance package, your honeymoon will certainly be as romantic and dream-like as you've always imagined. The package offers comfortable and luxurious accommodation, champagne, chocolate and flowers upon your arrival, as well as breakfast services in your room. Opened in 2009, Sofitel So SPA is a unique day spa, an uplifting and rejuvenating experience with numeours different therapies and treatments from all around the world. Heritage and history combine with everything a modern guest could wish for in this iconic Edwardian property. 107 luxurious suites and rooms uniquely and elegantly designed. The 5-star hotel offers elegant rooms and a luxury vaulted Spa. York is a picturesque, medieval, historic city and the Grand couldn't be anything else but that. 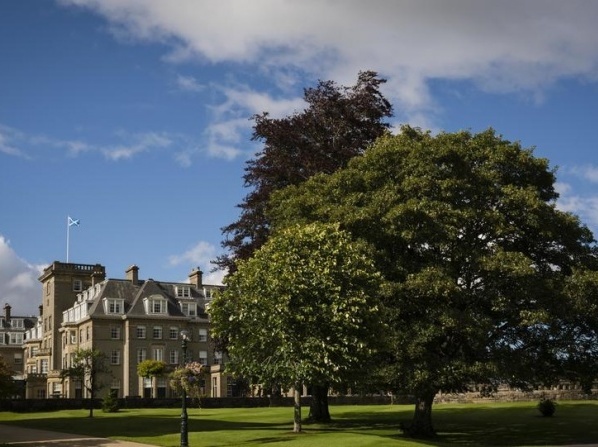 This luxurious Scottish hotel is the ideal destination for your honeymoon, as it not only provides services that will make your trip unique and unforgettable, but also stunning surroundings and elegant premises which you will never want to leave behind. 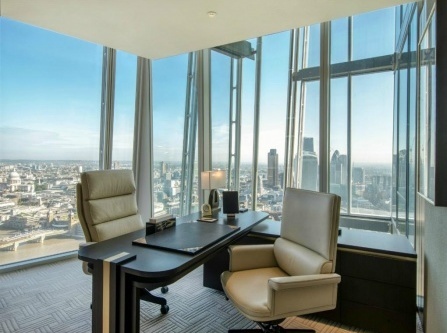 A collection of modern 5-star serviced apartments providing the luxury of a top hotel and the freedom and space of your own ‘home’ in the heart of the city. Situated just a few minutes from Waverley Station and many bus routes, the hotel is easily accessible whatever your method of travel is. Lateral City Apartments accepts up to two well-behaved dogs in each apartment at Old Town Chambers. However, pets are not allowed at Merchiston Residence.The hotel also provides doggy beds, blankets, balls and treats to make your dog feel comfortable. Conveniently situated on the Royal Mile, the hotel offers easy access to many bars and restaurants. Crowne Plaza Liverpool City Centre is located right at Liverpool's waterfront at the popular Princes Dock and close to all major city attractions. It offers luxurious rooms, a high-class restaurant and cocktail lounge as well as an own gym, swimming pool and sauna. 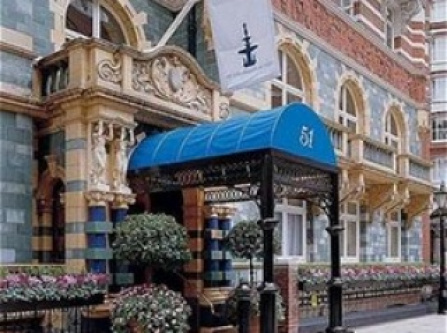 A hotel that combines the best of two worlds; with the hurly-burly of tourist London and the British Museum in the front and a serene private garden at the back, it's cut off from the city by some fine Georgian townhouses. The elegant interior is adorned with exquisite antiques and rich furnishings to create an ambiance of sophisticated charm. A luxury 4 star hotel in the center of Bloomsbury, central London which provides luxury accommodation. An elegant and subtly luxurious hotel, ideal for the most romantic and memorable honeymoon. Choose one of the luxurious rooms or suites available and spend unique intimate moments with your special someone. 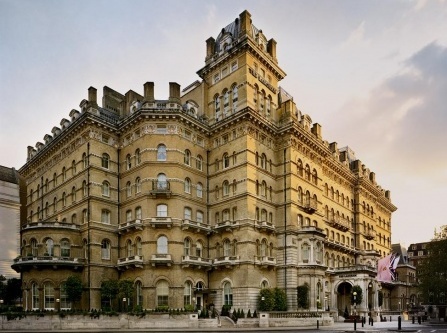 Situated just a few minutes from Buckingham Palace, a five star hotel that provides luxury in prestigious surroundings. With 85 modern suites from one to nine bedrooms, Taj 51 Buckingham Gate is the perfect home away from home experience for the sophisticated traveller. 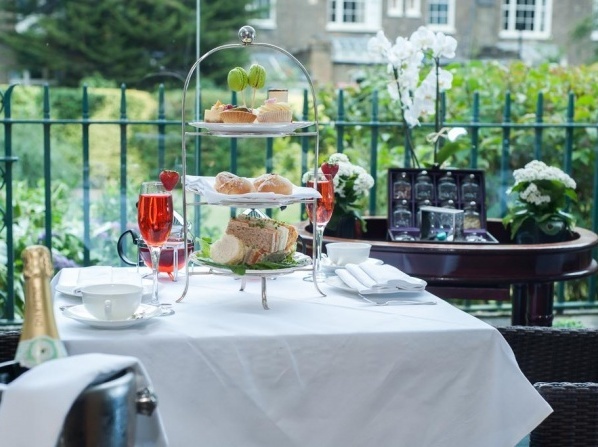 Relax and indulge at this luxury 5-Star hotel situated in central London. An absolutely elegant and luxurious hotel to spend your romantic honeymoon in, offering an assortment of lavishly appointed suites and rooms, as well as a plethora of amenities to make your stay as comfortable and memorable as possible. The Stafford London provides charm and elegance combined with luxurious amenities and modern touches throughout its rooms. In this hotel, guests can indulge in an authentic quintessential English experience. The hotel offers three contrasting styles of rooms and suites; each room is individually designed and decorated with the utmost attention to detail to make sure that your stay is special. 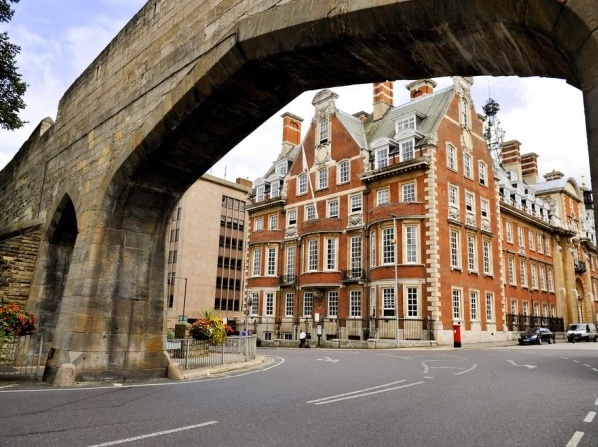 Discreetly situated in the historic St James's, the hotel is renowned for its luxurious rooms, award winning guest service and fine dining. The former residence of Lord and Lady Lyttelton in London, The Stafford's Main House is a combination of Victorian grandeur and modern comfort. 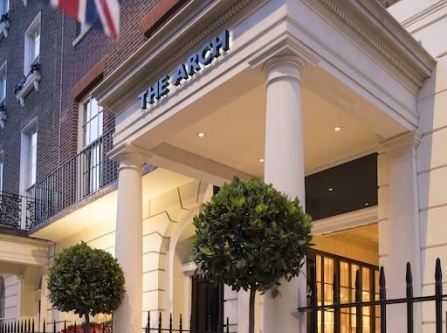 With its impressive service and warm friendly vibe, The Arch London will make your stay a truly unforgettable experience. 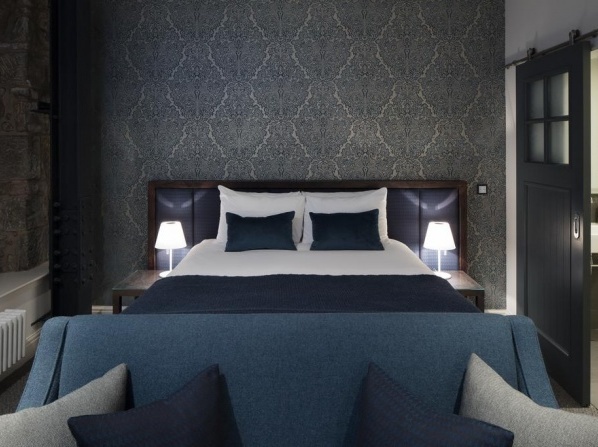 The 82 individually designed rooms offer guests a luxury stay combined with a variety of extra features to ensure the ideal night's sleep in the heart of London. 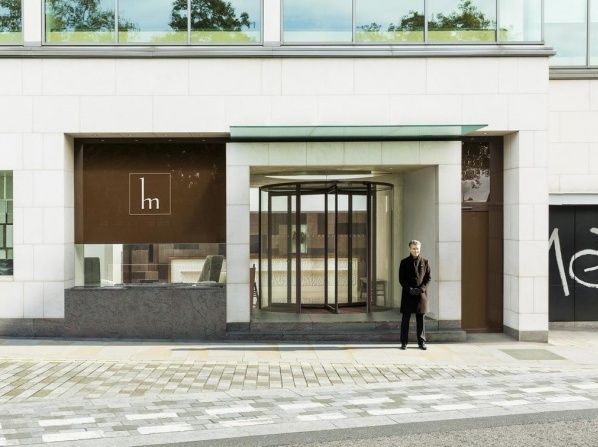 Α luxury lifestyle hotel just a stone's throw from Marble Arch. Award-winning hotel, ideal for families and couples that wish to experience the city life in the picturesque city of Edinburgh. In the Chester Residence, guests choose from 23 apartments with distinctive interior design to match their personal taste. 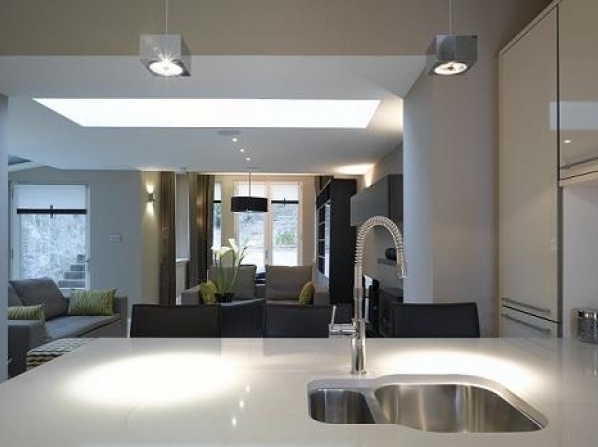 These stunning, luxury suites are in the heart of Edinburgh, boasting a large-screen TV, free WiFi and an iPod dock. This historic hotel consists of 4 Georgian houses in the West End of Edinburgh. The Goring has a proud history of being one of London’s finest luxurious hotels dating back more than a century, since 1910. 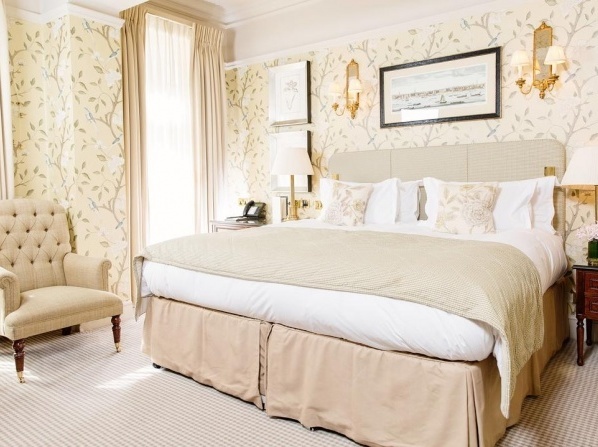 The boutique Goring hotel features spacious rooms with luxurious décor, each with a seating area as well as a TV with films on-demand. 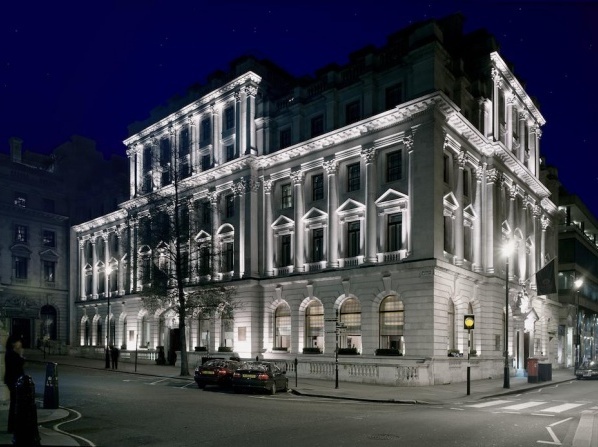 Α historic luxury hotel in London's Belgravia district, popular for its unique style and modern British cuisine. 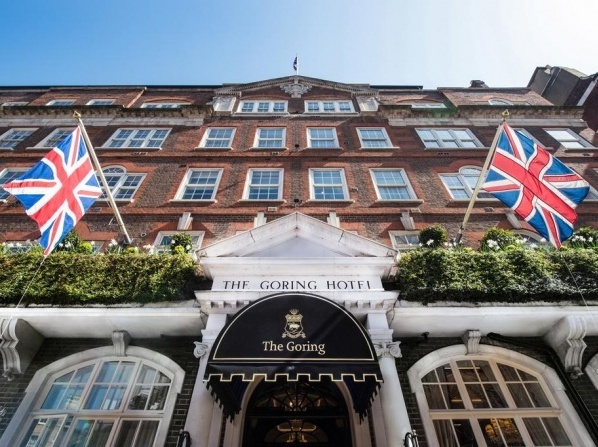 Built by Jeremy’s great-grandfather in 1910, The hotel has been run by the Goring family since its inception. 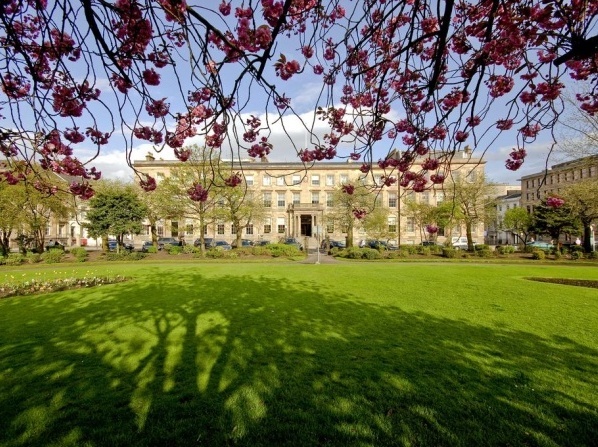 An award-winning five-star hotel in the heart of the city of Glasgow. Featuring 100 stunning guest rooms, an amazing spa, bars, a restaurant as well as private event areas, this luxurious resort will make your dream vacation a reality. This luxury hotel has a full-service spa, an indoor pool, wireless Internet access, a restaurant and a bar/lounge. The Spa covers a 10,000 square feet area and incorporates a thermal suite with a wide range of experiences, 9 luxury treatment rooms, two relaxation pools plus several other relaxation areas. Up to two well-behaved dogs are allowed to stay with their owner in one room.